Bullard: Who Will Fund Clean Energy? People who invest in the world’s energy systems often want to know how many trillions of dollars will be needed to finance renewable energy and natural gas. One way to find the answer is to look at what those who have already invested trillions of dollars want to happen as the world transitions to a lower-carbon power system and electrifies transportation. A look at the numbers shows that the first thing they want is scale. 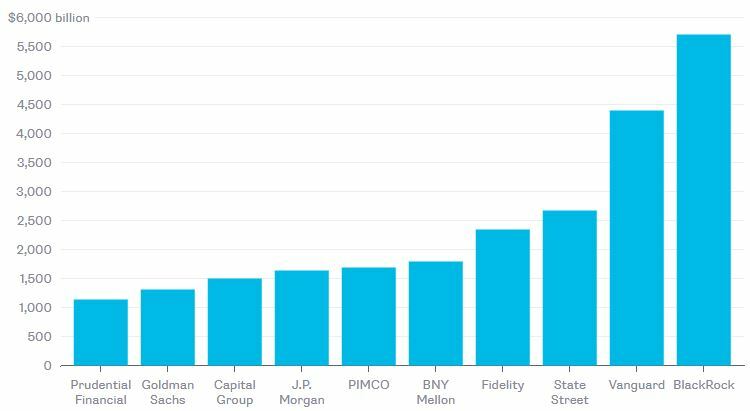 The 10 largest institutional asset managers each manage more than $1 trillion; the largest, BlackRock Inc., manages nearly $6 trillion. Trillions of dollars of investor supply naturally need trillions of dollars of asset and company demand. Sources: Companies, Bloomberg, IPE. Note: Data collected November 2017. Fortunately for energy, it has such a demand. Bloomberg New Energy Finance estimates that zero-carbon power generation will attract almost $9 trillion in investment between now and 2040. Increasingly, the suppliers of that institutionally managed money want to know how their portfolios will affect climate change. 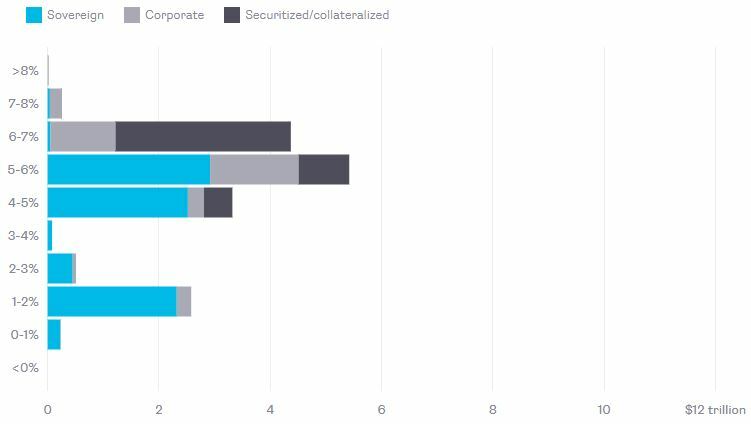 Earlier this year, David Fickling took a smart look at the largest asset managers and found that most of the 20 biggest ones back shareholder resolutions on climate and sustainability. 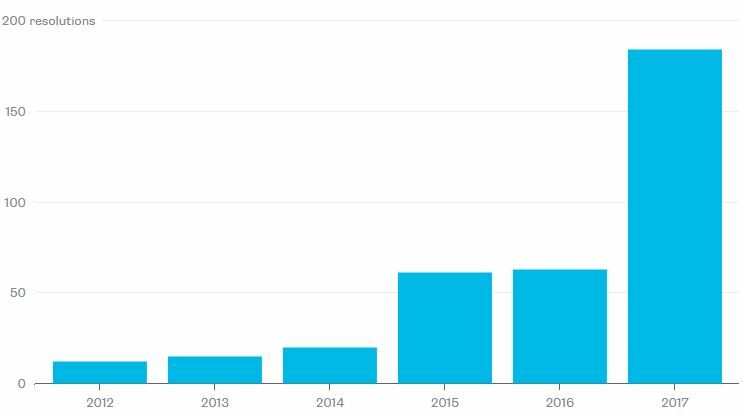 Such resolutions are becoming far more common, too: This year, investors have filed 189 climate and sustainability resolutions with U.S.-listed companies — as many as in the previous five years combined, according to Ceres’ climate and sustainability resolutions database. Sources: Ceres. Note: Data collected November 2017. And then there’s yield. Investors are still piling into U.S. energy high-yield debt, which mostly funds oil and gas exploration and production. As Liam Denning noted in August, even this risky part of the energy bond market still yields in the range of only 6 to 7 percent. Source: IMF Global Financial Stability Report, October 2017. A decade ago, the yield from U.S. energy fixed income would have been comfortably investment-grade, according to the International Monetary Fund’s October Global Financial Stability Report. 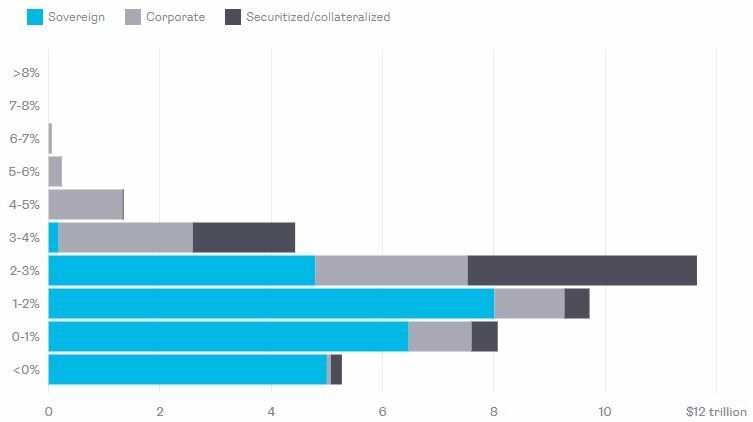 In 2007, all but a very small proportion of corporate debt yielded more than 4 percent, and not a dime of securitized or collateralized debt yielded below 4 percent. Ten years ago, “only” $3.4 trillion of investment-grade fixed income yielded below 4 percent. Things look rather different now. According to the IMF, there is now just under $40 trillion of investment-grade fixed income yielding below 4 percent, including more than $5 trillion with a negative yield. This yield distribution, then, is what anything needs to beat to be considered “high yield.” 2007’s investment-grade yield is today’s risky yield; today’s low-risk yield is barely any yield at all, and could even be a negative yield. For more than a decade, I’ve listened to renewable-energy boosters describe the state of their capital markets as a “funding gap.” It is true in the sense that not enough money is flowing to keep the world from warming more than 2 degrees Celsius over pre-industrial levels. Nevertheless, there’s plenty of money out there to create renewable technologies, and its institutional investors want more than lower-carbon investment strategies. They also are seeking to beat very low investment-grade yields. In 2007, when renewable technologies were expensive compared with conventional energy, and when shale gas just a glimmer in the eye of the U.S. oil patch, there may have been a funding gap. Today, we’re dealing with something more addressable: a simple matter of allocation. Trillions of dollars are needed; trillions of dollars exist. It’s just a matter of aligning supply and demand.